Improve Your Communication Skills for Better Relationships & Increased Productivity Career Advancement Strategy: What is Your Next Move? Good leaders must be sensitive to the unique needs of their staff. Greg is not as productive as he needs to be during the rapid growth of the venture capital business he manages. He’s slow at reading and completing reports. He’s not following up, forgetting or missing details, and losing opportunities. He feels overwhelmed and frustrated. In addition, his sleep routines are nonexistent. He’s up half the night finishing reports and then fatigued and grouchy during the day. Some people think Greg is resting on his laurels since he had a few big deals and earned his MBA from a highly competitive university. Disappointed in his productivity, they feel he’s lazy or arrogant or uncommunicative or uncaring. In short, he has some kind of personality deficit. However, Greg’s lagging productivity is due to performance gaps based on a hidden disability. Although very bright, he is slow at writing and processing information. He is considered twice exceptional in that he has intellectual gifts and learning disabilities. Previously, he depended on his strong verbal skills and had the time and energy to complete school papers and projects. He circumvented his hidden disabilities. Currently, his skills and talents are not sufficient to deal with a stressful and fast-paced leadership position, Greg doesn’t have the time to finish his own work, let alone attend to management responsibilities. This is not an unusual situation for a rising leader who has not needed to confront his vulnerabilities. What are examples of learning disabilities? When you have difficulty accurately hearing, understanding, or remembering verbal messages, the term auditory processing disorder is used. In a work situation, a person would experience difficulty “getting it” when conversations are rapid, meetings include multiple speakers, or accurate memory is required. Other learning disabilities may involve an inability to read, calculate, speak, listen, or move as would be expected based on normal growth and intelligence. For example, dyslexia is a specific learning disability that impairs decoding, reading comprehension, spelling and rate of reading. 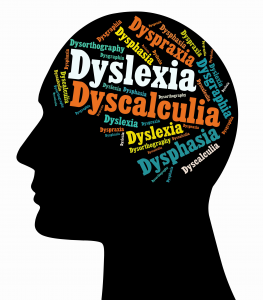 When difficulties affect the ability to understand numbers, learn math facts, and difficulty with time, they have dyscalculia and if there are difficulties with handwriting ability and fine motor skills, the term used is dsygraphia. How many adults have hidden learning disabilities? What are some indicators of learning disabilities? What should you do if you suspect your performance is faltering due to a hidden learning disability? Like Greg, while in college or graduate school, you may have experienced hidden learning disabilities, but denied, ignored, or worked around. However, if symptoms begin to interfere with job success, then it is time to investigate the roots of the problem. Rather than “shaming and blaming” yourself for what you can’t do, find out the reasons for the difficulty. Focus on your strengths, interests and passions—and how they contributed to your accomplishments. List the strategies that you have employed to work around your vulnerabilities. Remember that your performance gaps don’t mean you are “stupid,” they are the result of an uneven learning profile. Gain information about learning disabilities. Read or listen to audio books and articles (https://www.amazon.com/Dyslexic-Advantage-Unlocking-Hidden-Potential/dp/0452297923/ref=sr_1_13?ie=UTF8&qid=1520863240&sr=8-13&keywords=books+on+learning+disabilities). Join support groups such as Learning Disabilities Association (www.ldaamerica.org). Contact an expert for screening. For example, contact a psychologist, educational psychologist, teacher consultant, or social worker. Discover if others in the family have similar problems. Consider getting tested to diagnose the nature and extent of the learning disability (http://gerimarkel.com/reaching-leadership-potential/). Understand there are a wide variety of strategies to cope with and manage aspects of a disability. For example, if you have difficulty listening and writing simultaneously, speech recognition software allows you to dictate into a digital recorder and have it transcribed (https://www.nuance.com/dragon.html). Decide if you want to disclose your disability at work or need to arrange for reasonable accommodations. For example, if you are especially sensitive to noise, you might use noise cancelling headphones or ear plugs to help you focus on reading. 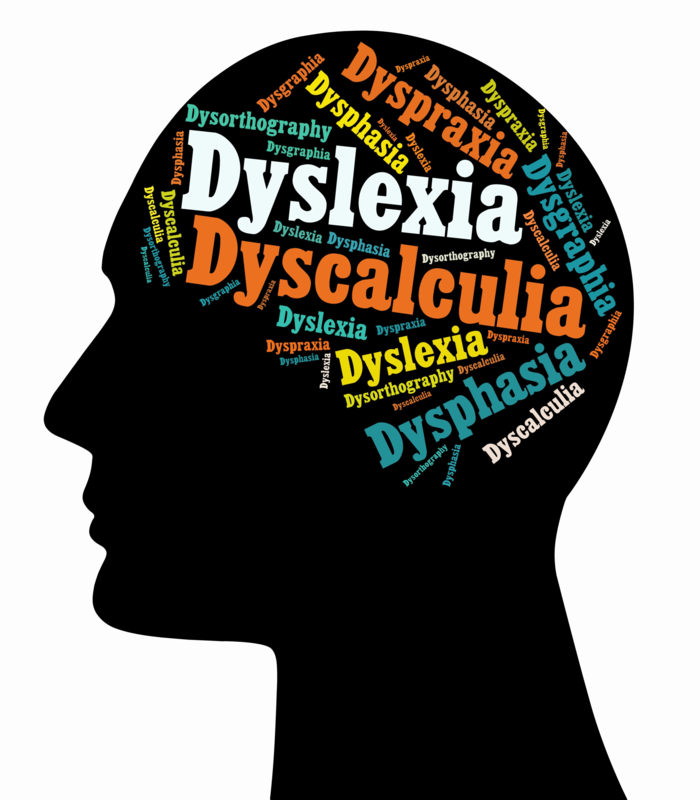 Here are a few famous entertainers who dealt with and overcame the disabling effects of dyslexia: Keira Knightley, Anderson Cooper, Jay Leno, Whoopi Goldberg, Tom Cruise, Cher, Steven Spielberg, and Walt Disney. If you have questions or concerns about the possibility of a hidden disability involving reading, listening or writing, contact Geri at geri@managingyourmind and schedule a free 20-minute consultation.